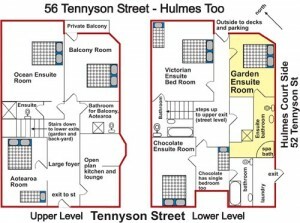 Hi Alice here, this post will introduce the garden room. 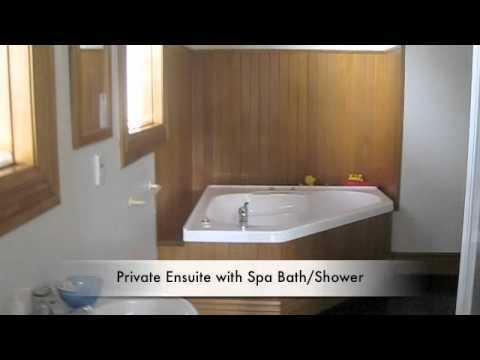 The garden room is one of our premium rooms and has a large ensuite with a spa bath/shower cubicle.The ensuite is as large as the room itself!It is in our second building (Hulmes two). 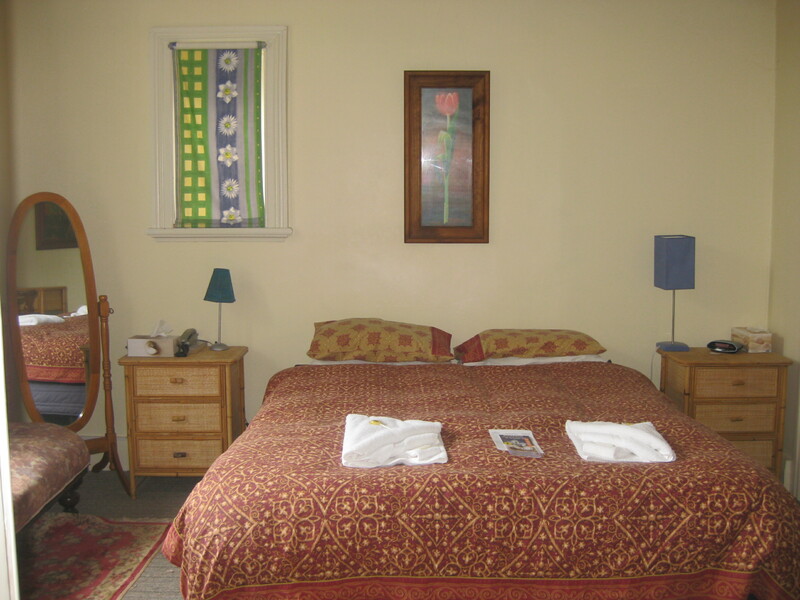 The garden room contains beautiful art work of flowers and has a sofa which you can rest on at the end of a long day. The garden room is peaceful, quiet and bright. Normans beautiful garden is just outside your window. 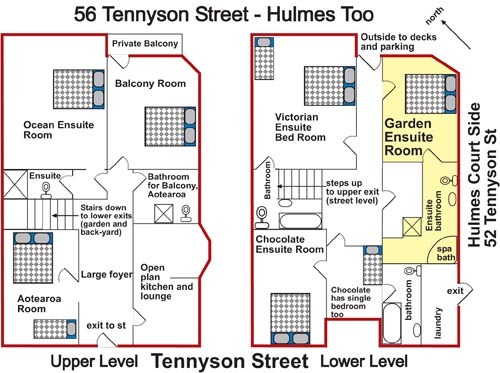 Plan showing the location of the Garden Room, In Hulmes Two, this beautiful brick villa is next door to Hulmes Court. • Telephone, TV and video. Smaller table. 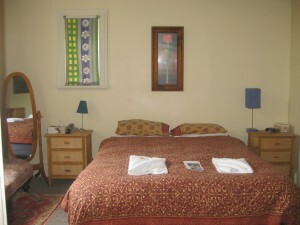 • Tariff – $170 NZD per night including breakfast, which is continental.